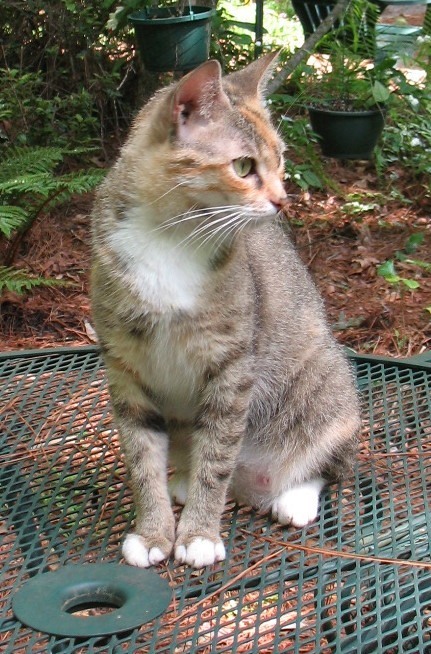 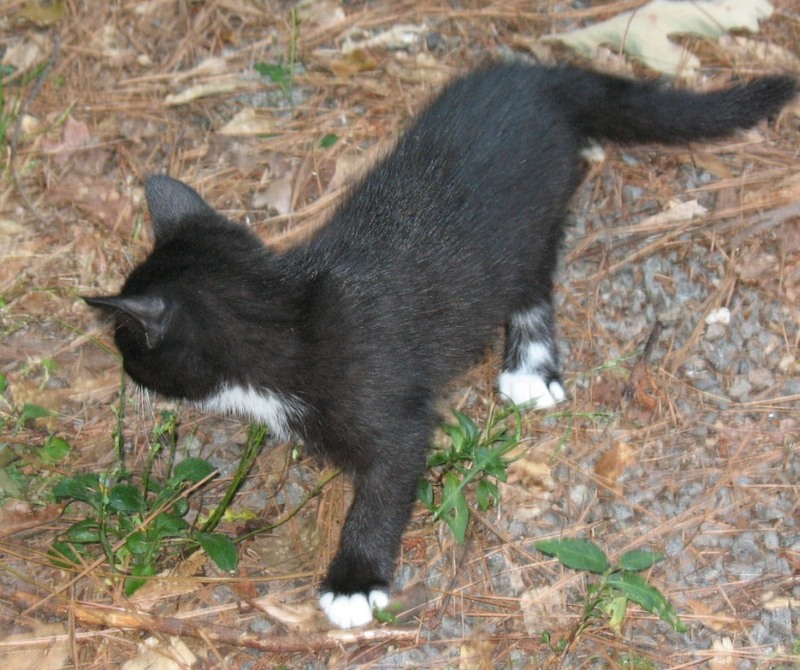 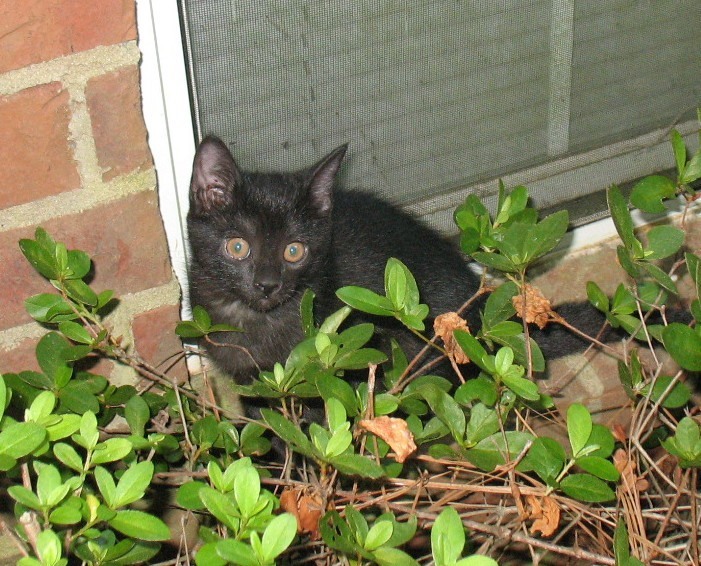 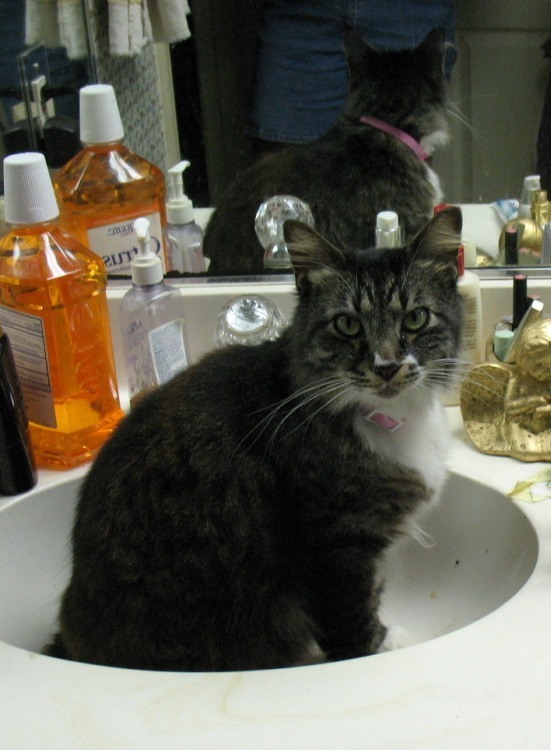 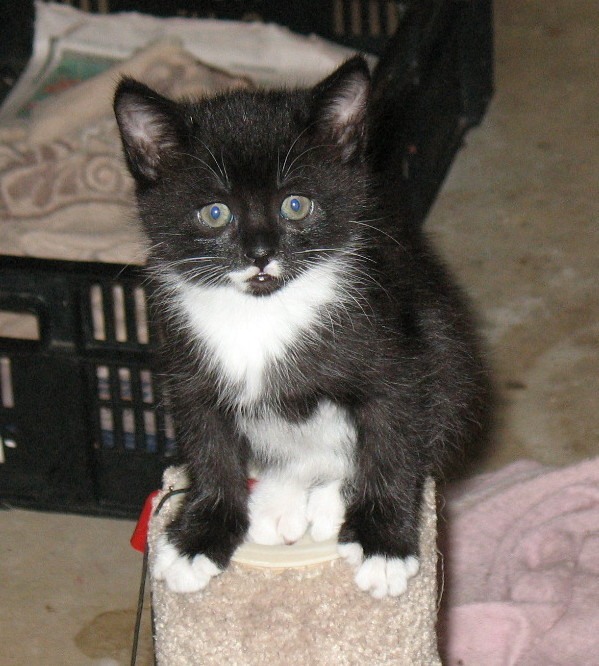 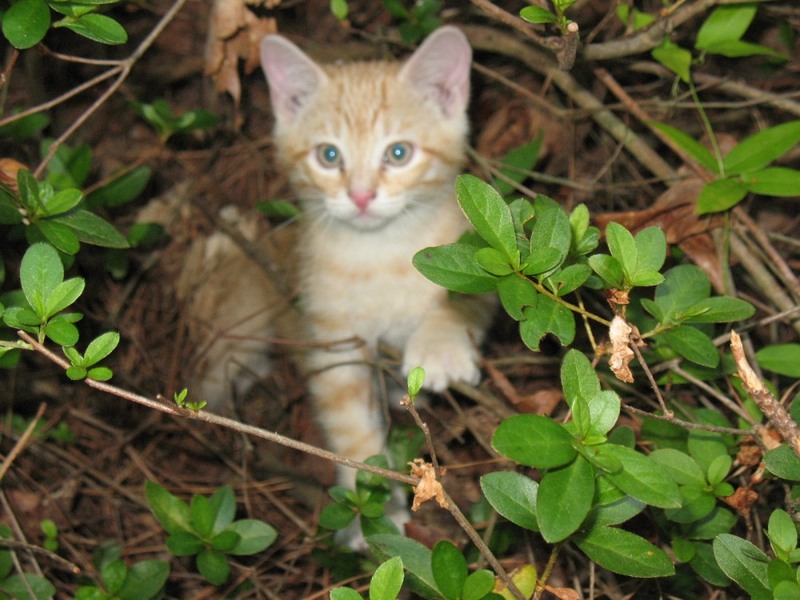 On March 27, 2008 I found Lucky Lou crying in the hydrangea house; she decided to adopt us. 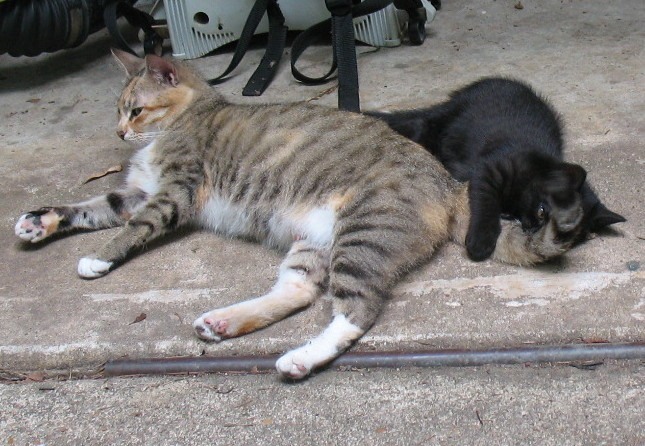 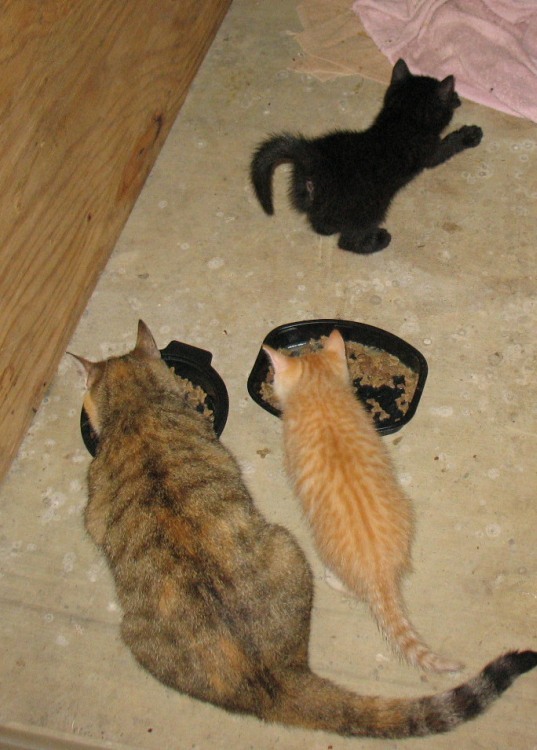 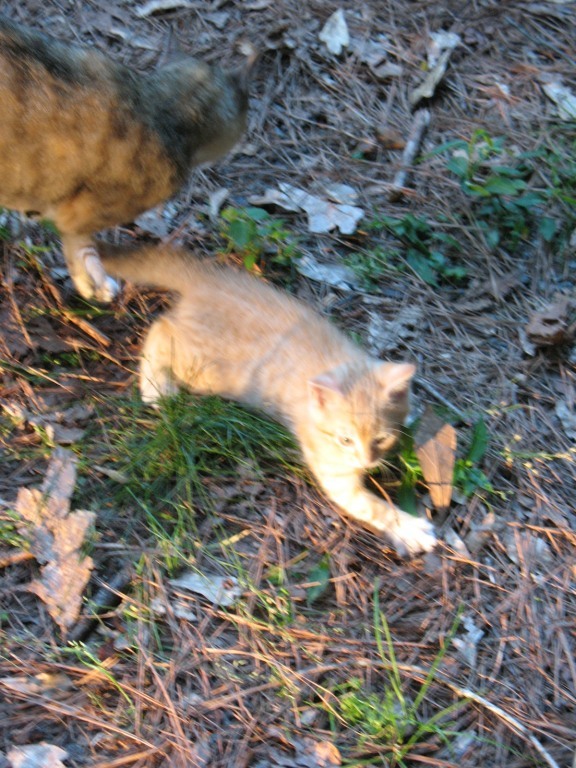 On April 11 she presented us with 3 kittens. 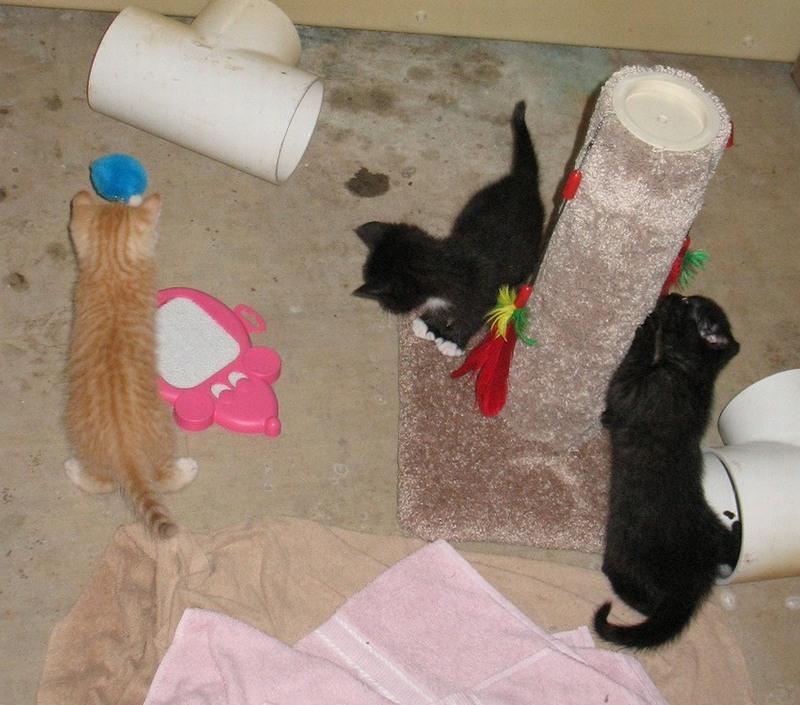 The kittens all have new homes now. 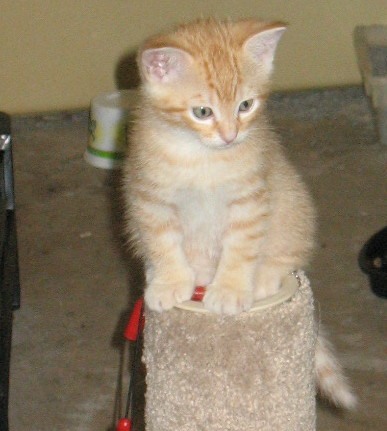 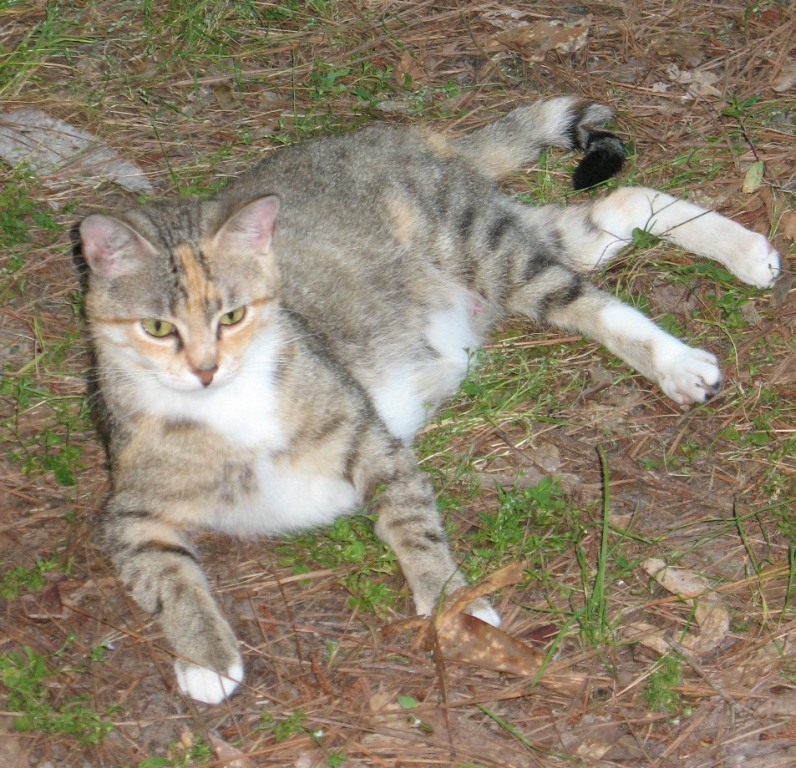 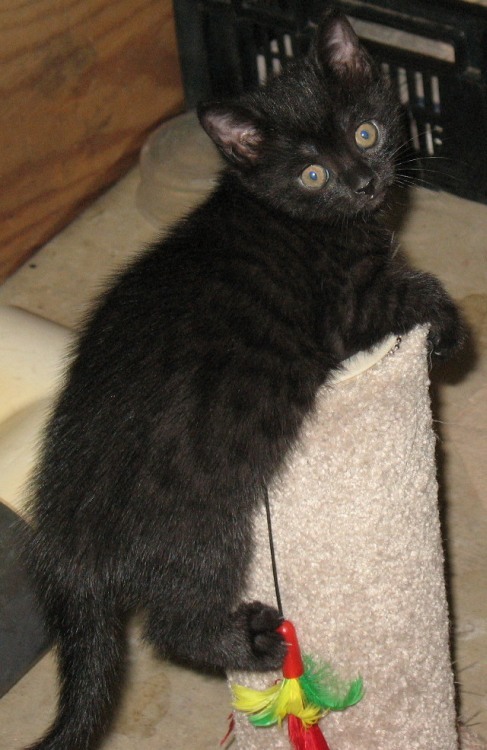 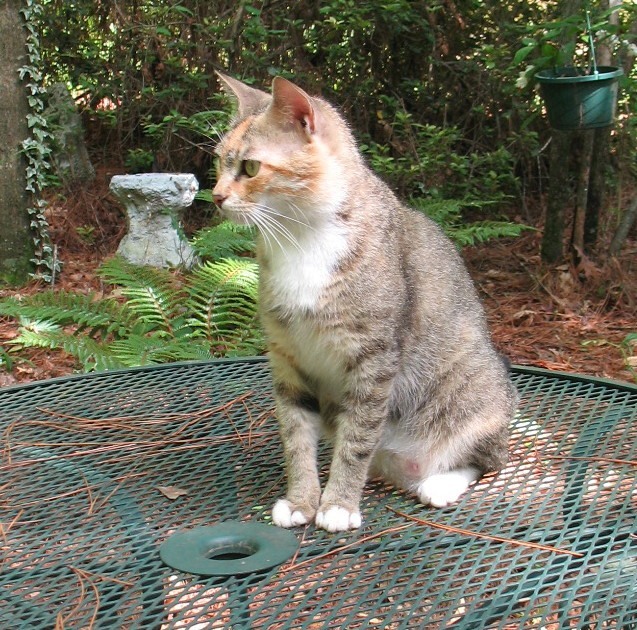 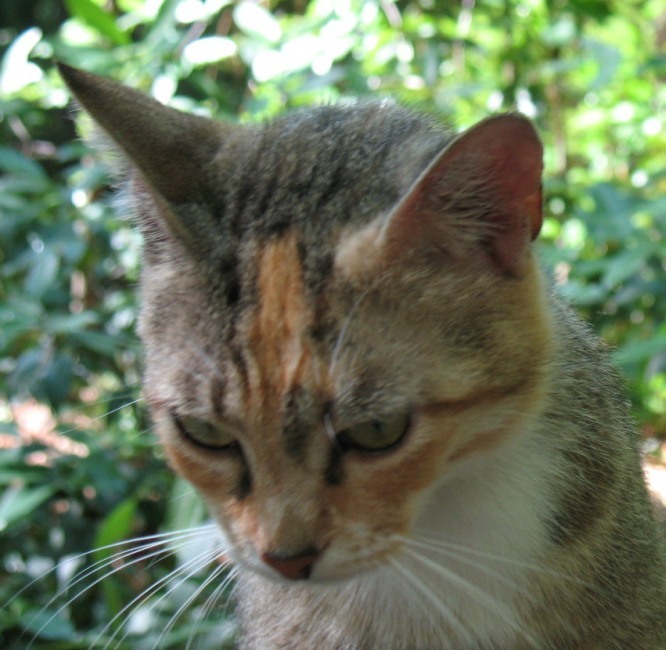 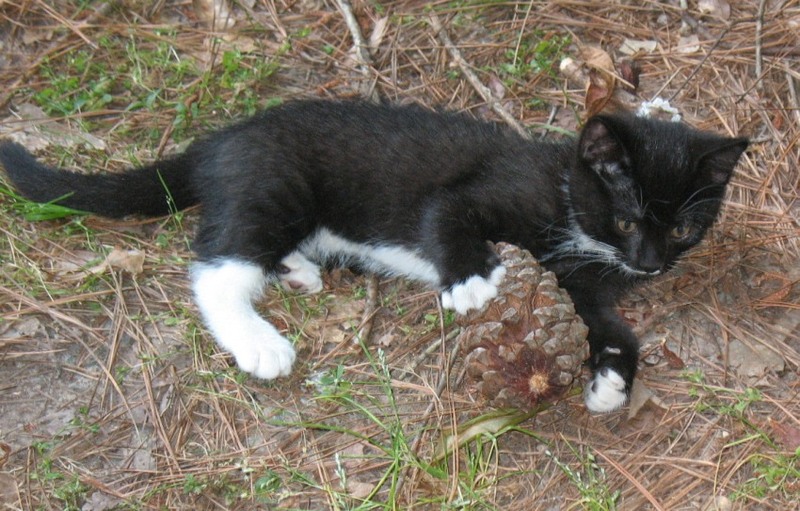 Precious Lucky Lou had a terrible accident in 2009 and is now in cat heaven. 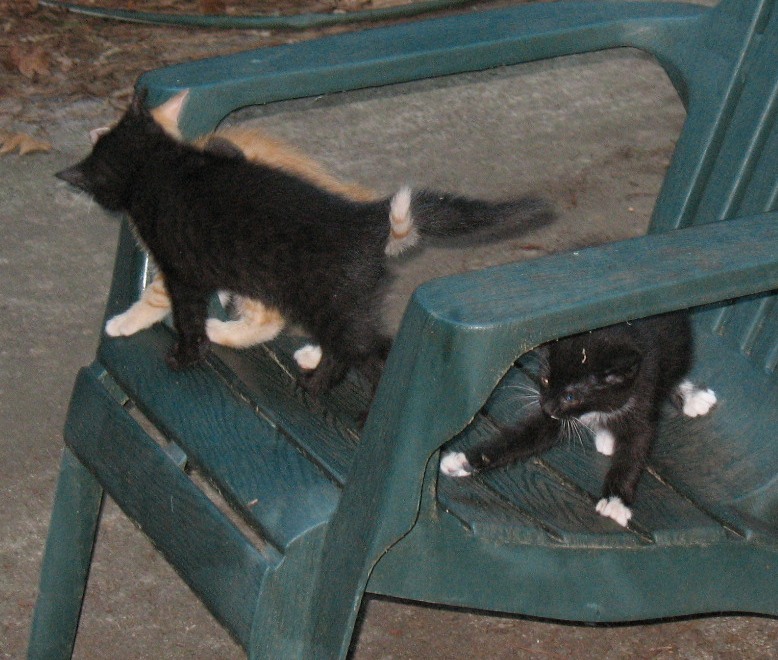 The kittens have permanently escaped from their little "apartment". 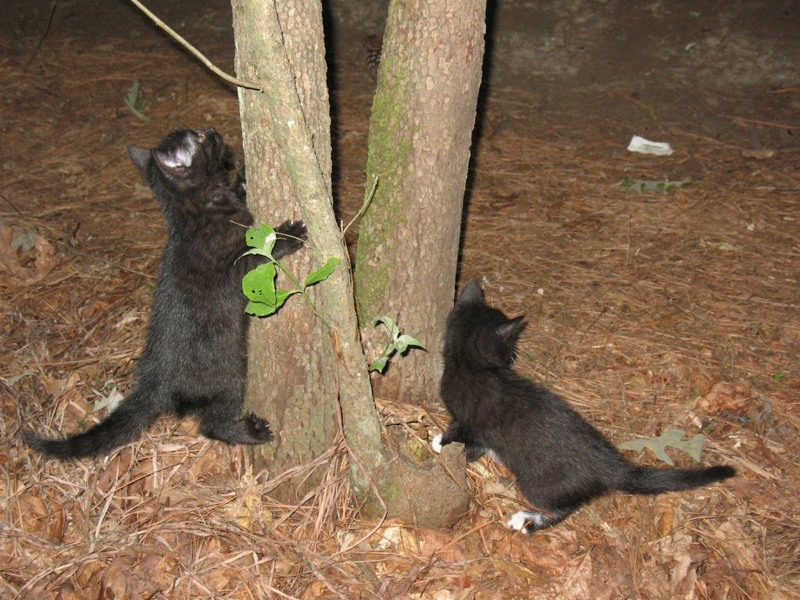 Today they started climbing trees. 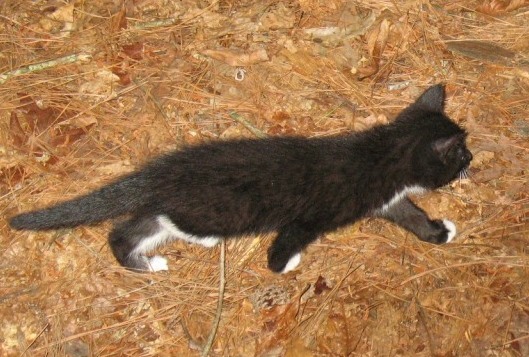 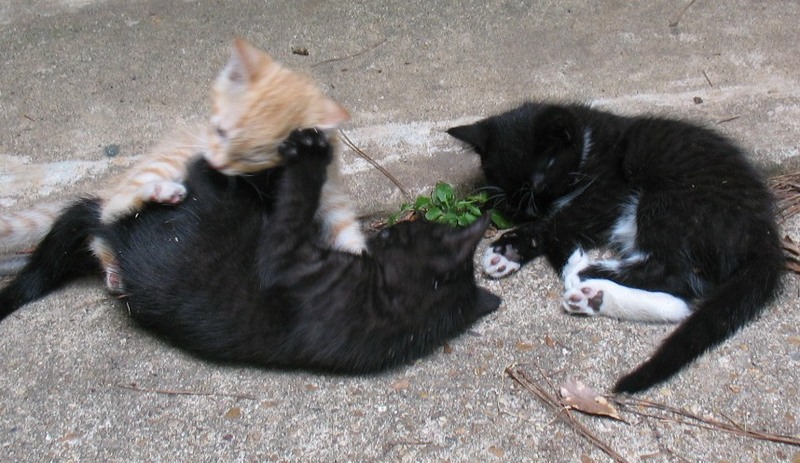 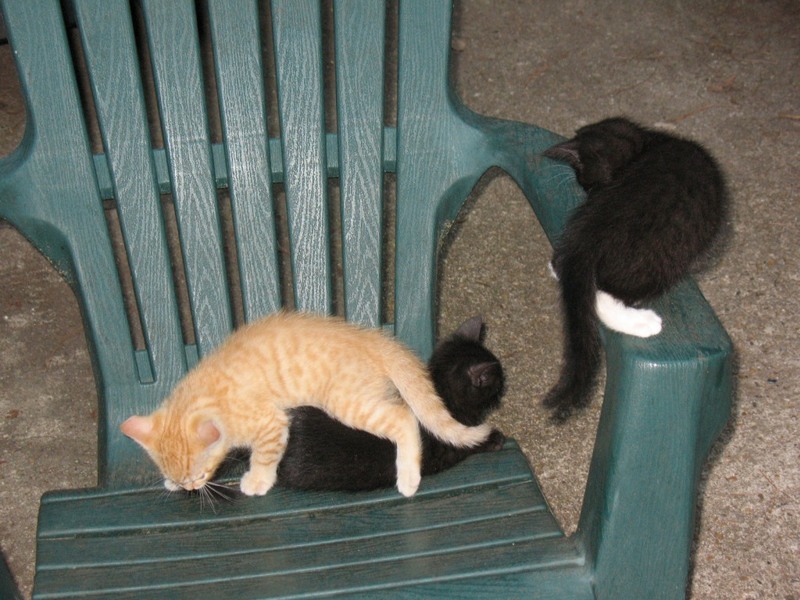 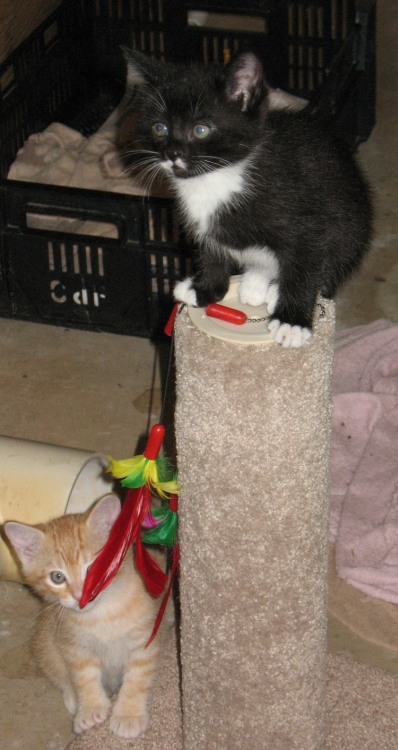 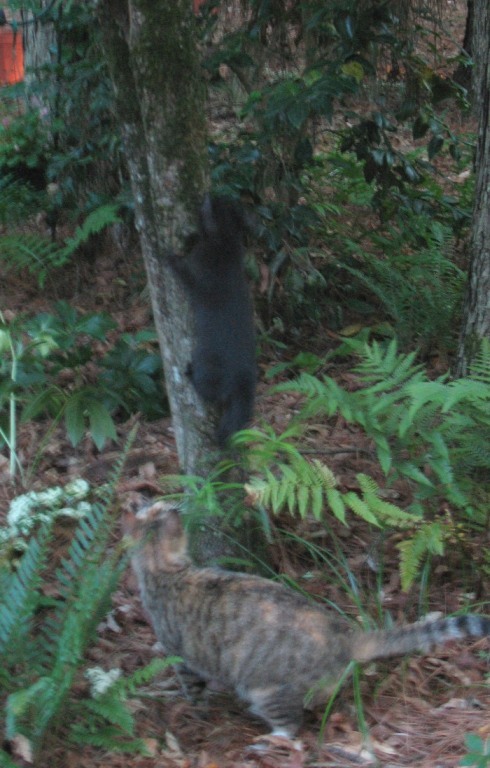 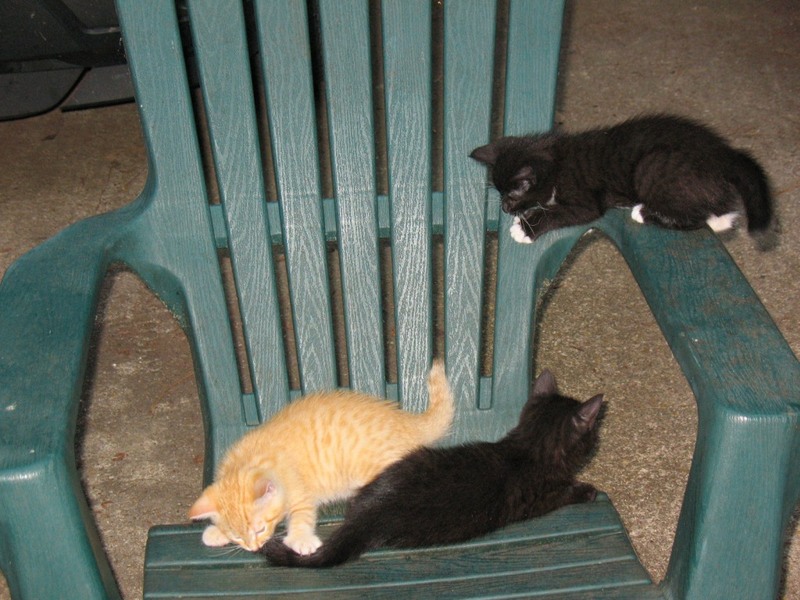 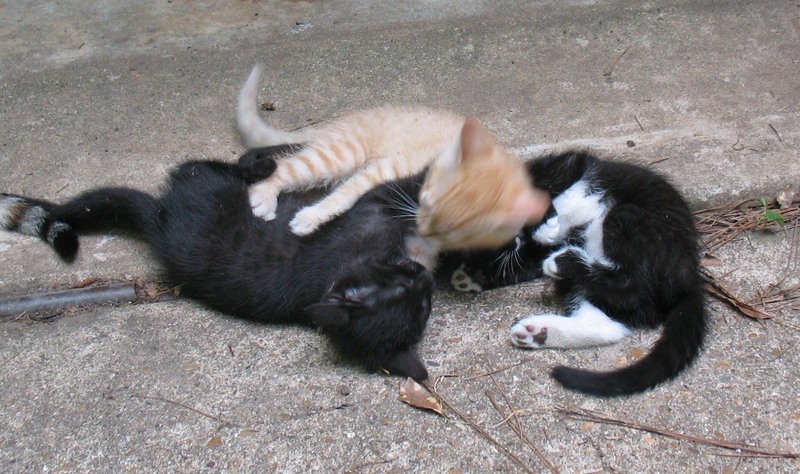 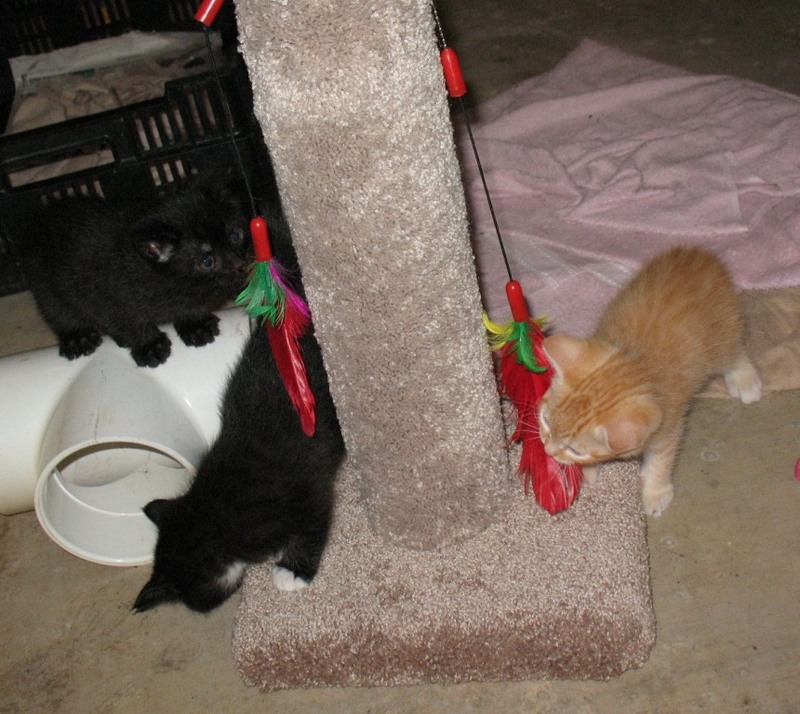 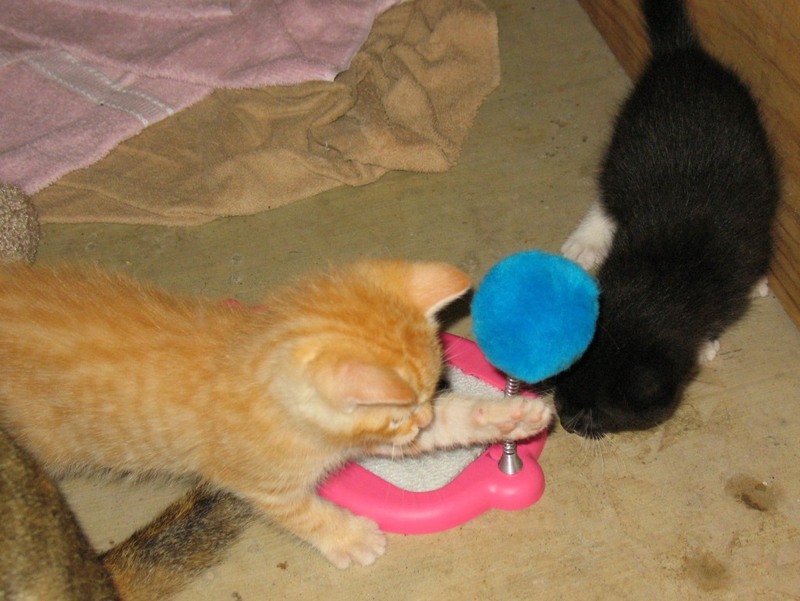 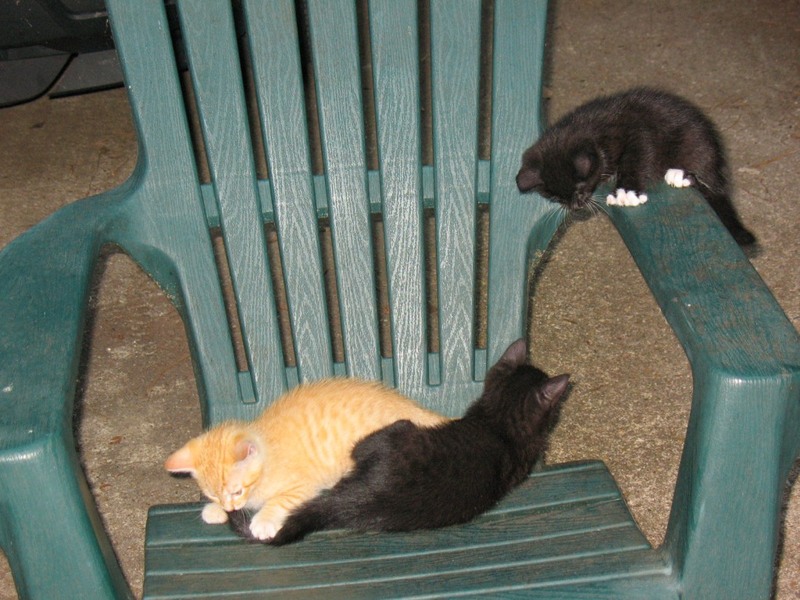 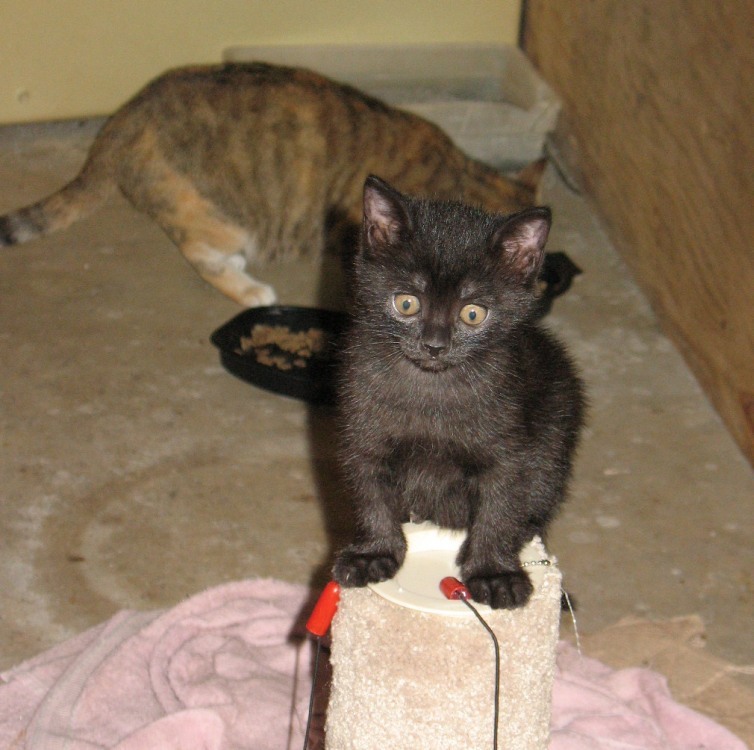 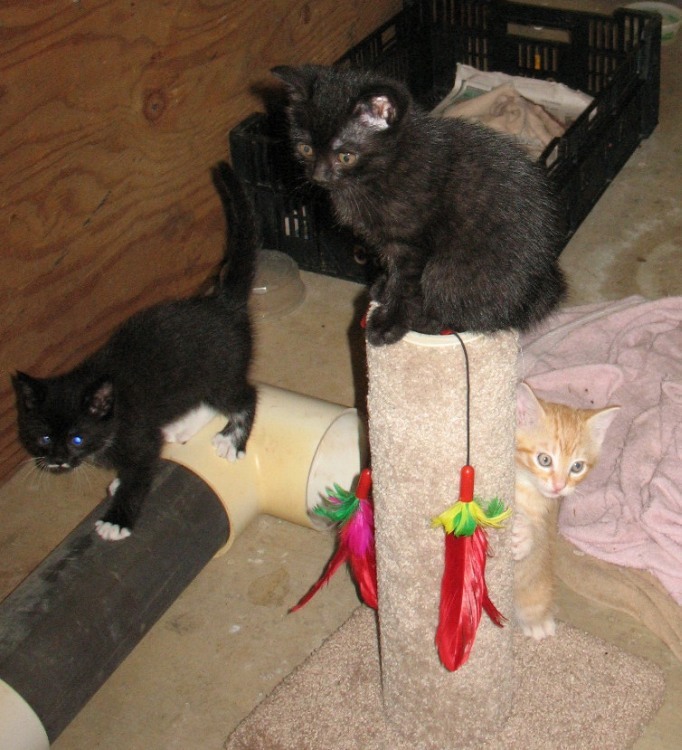 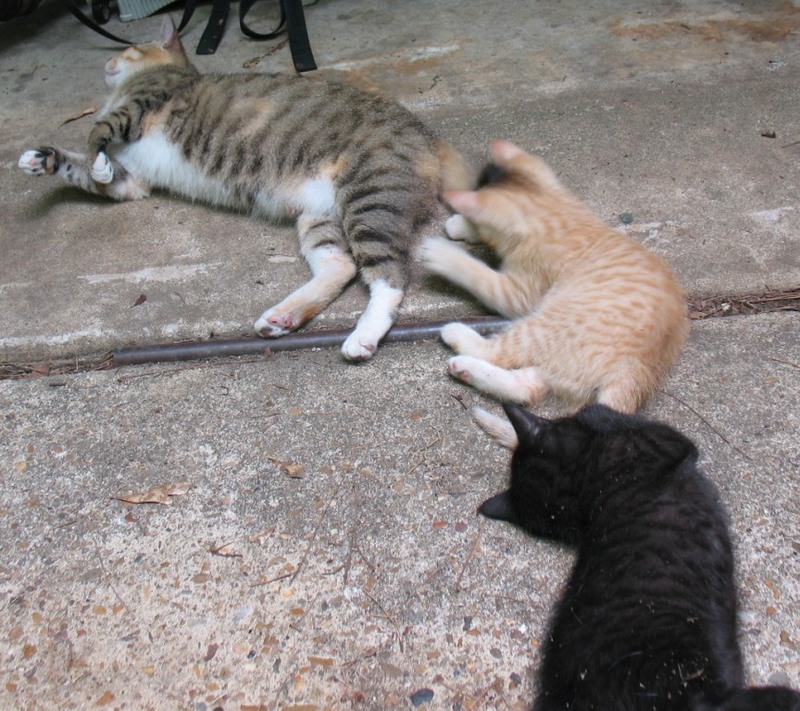 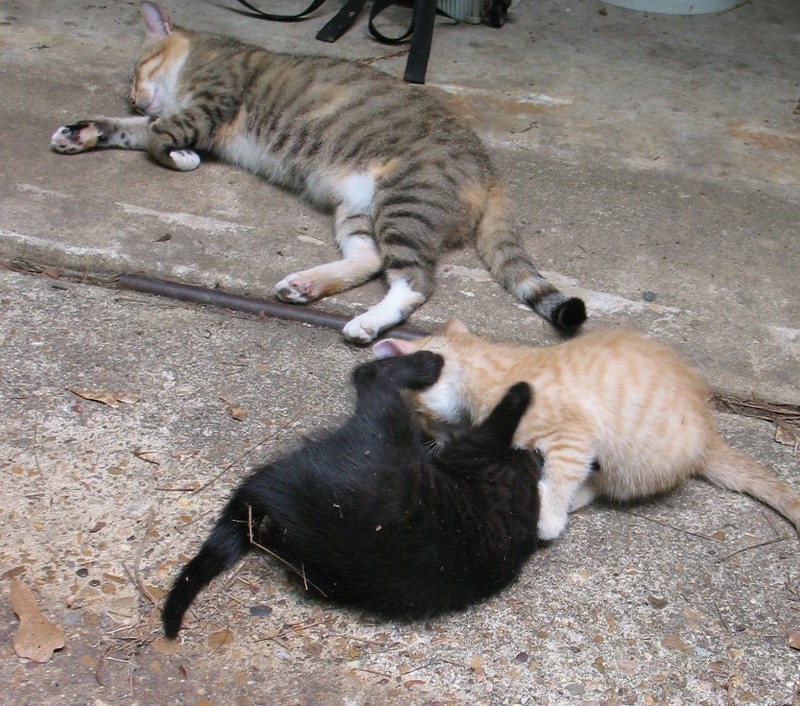 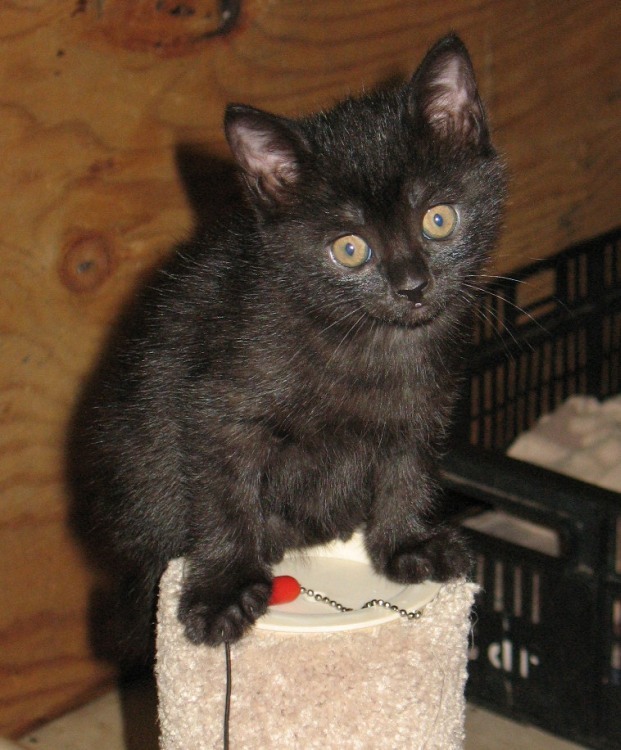 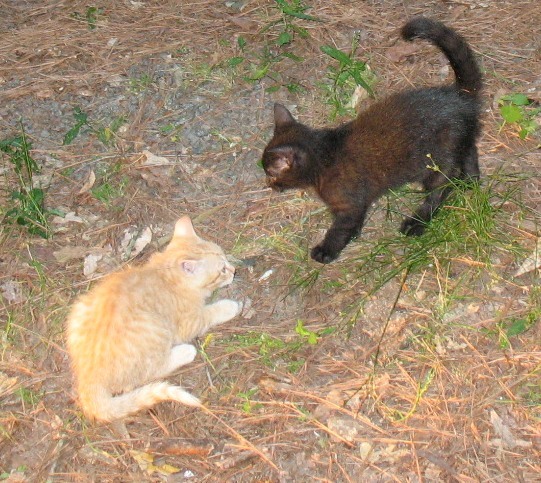 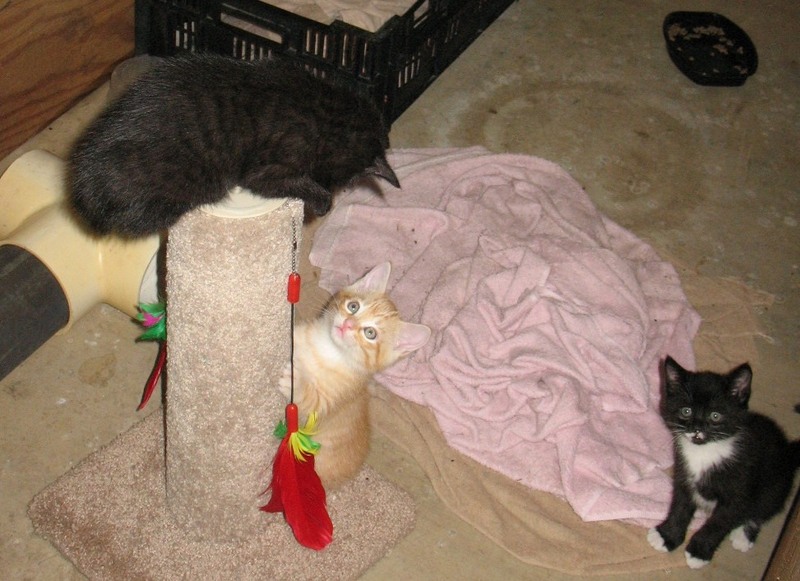 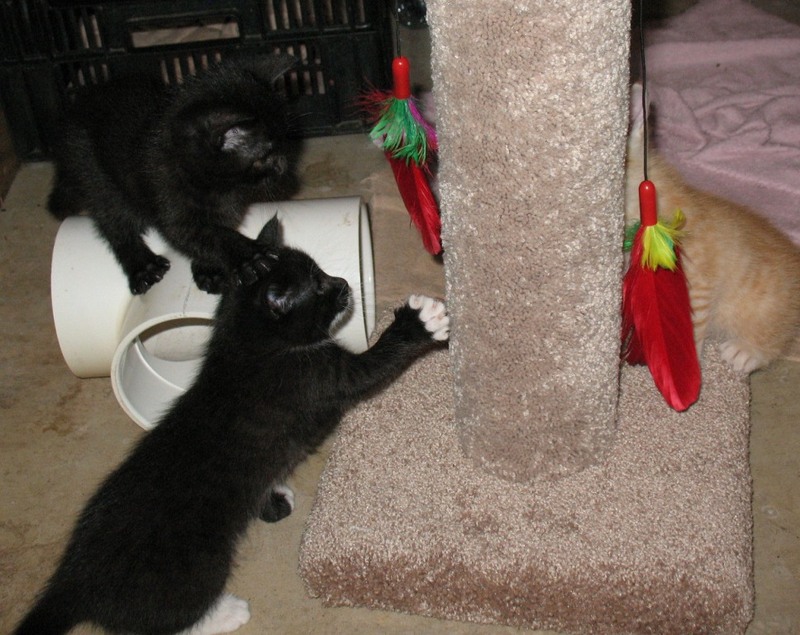 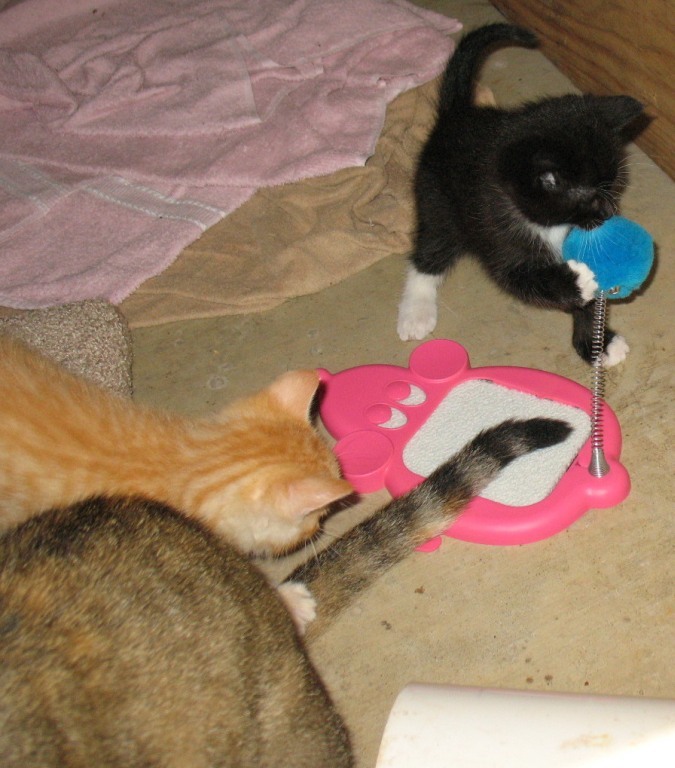 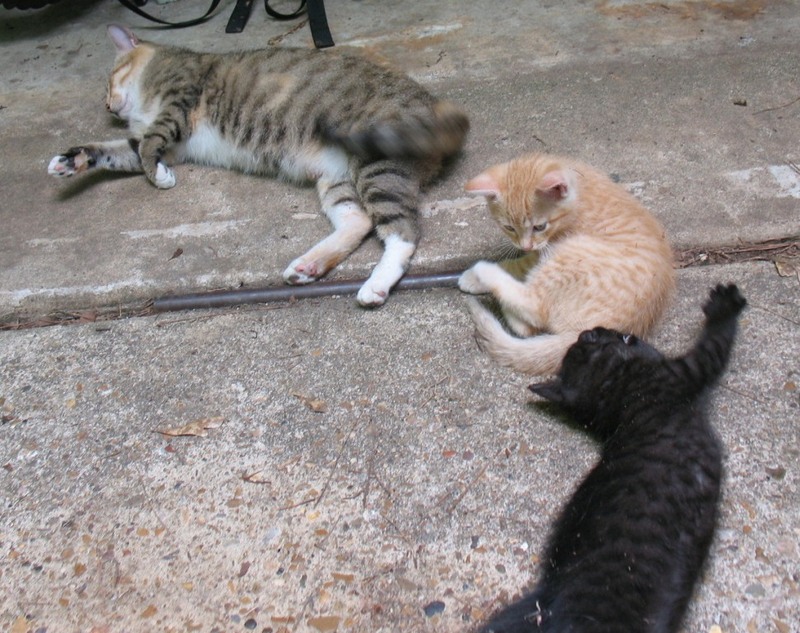 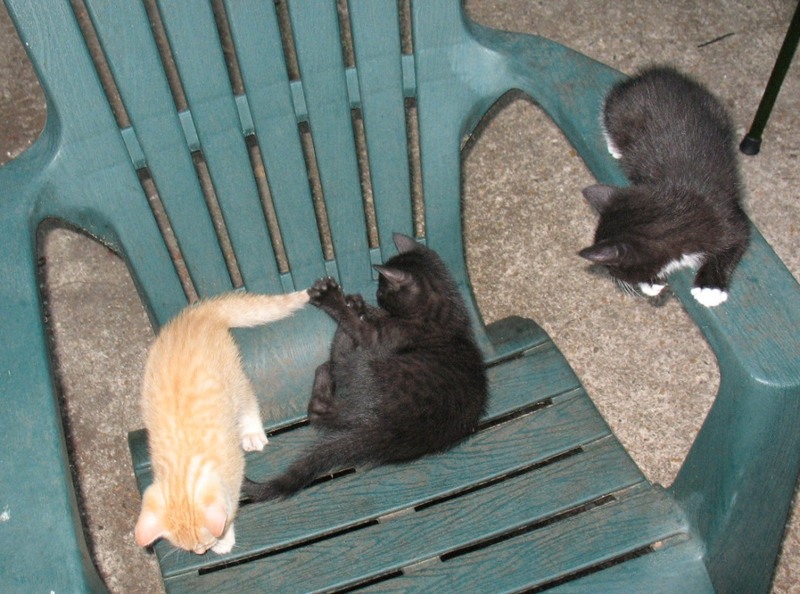 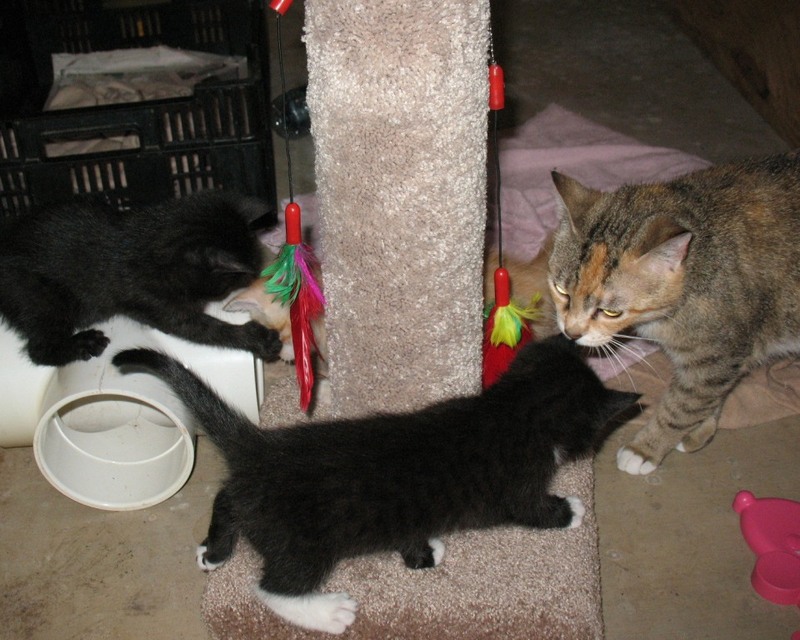 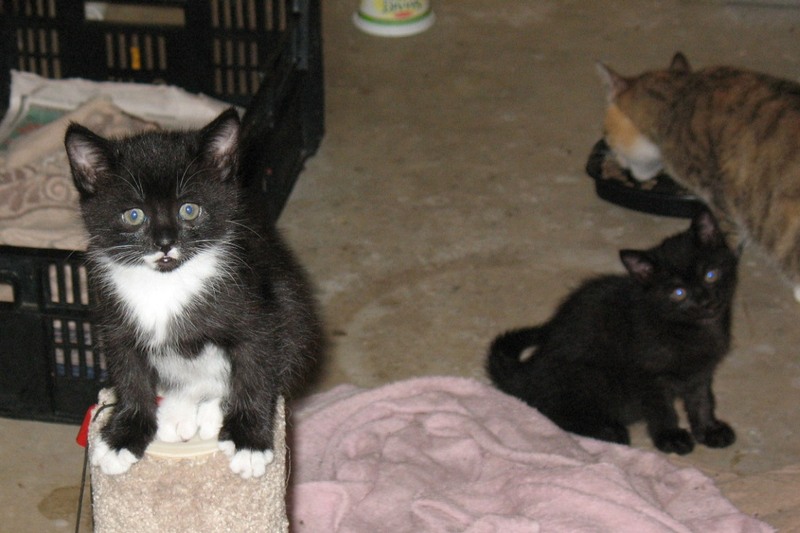 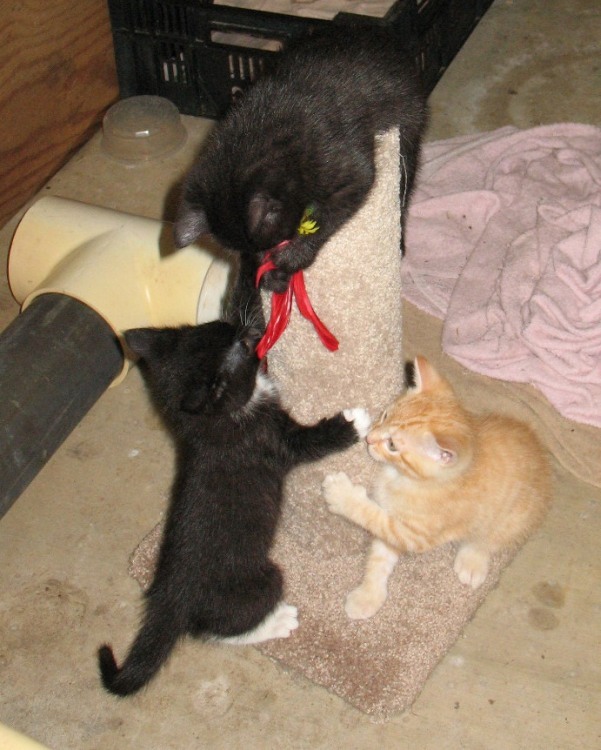 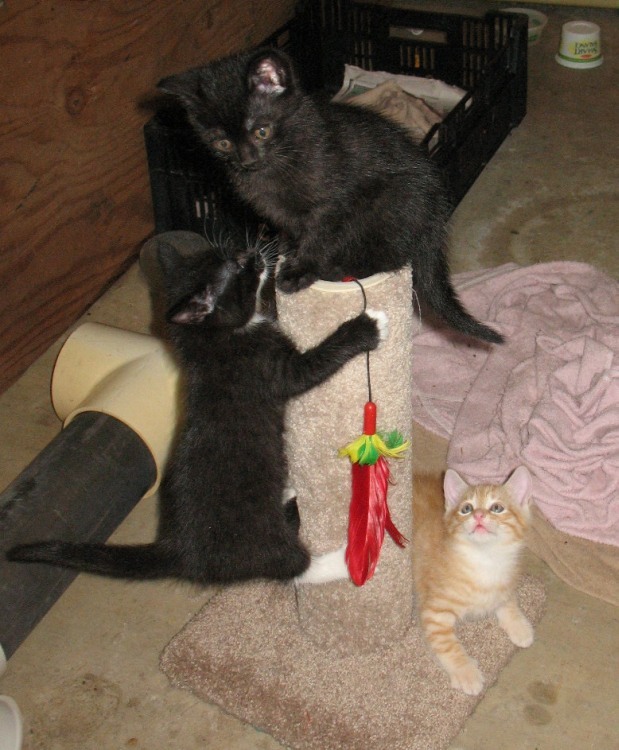 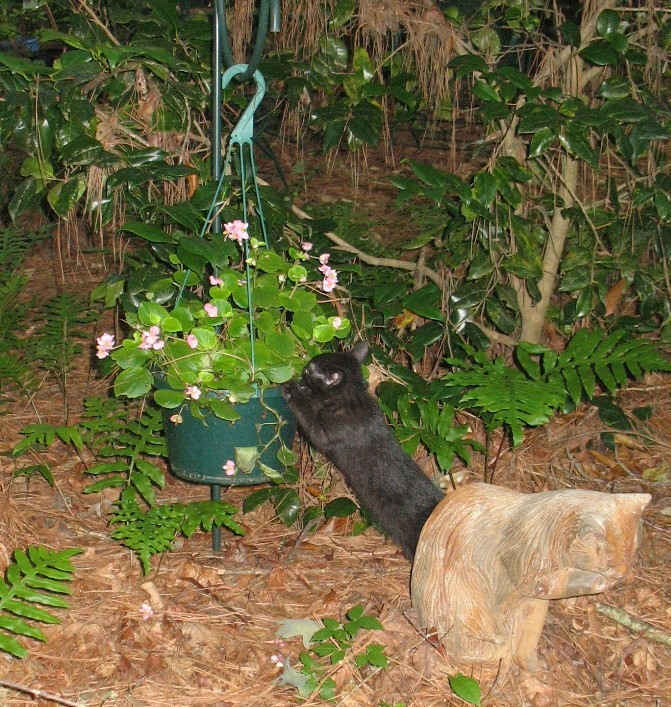 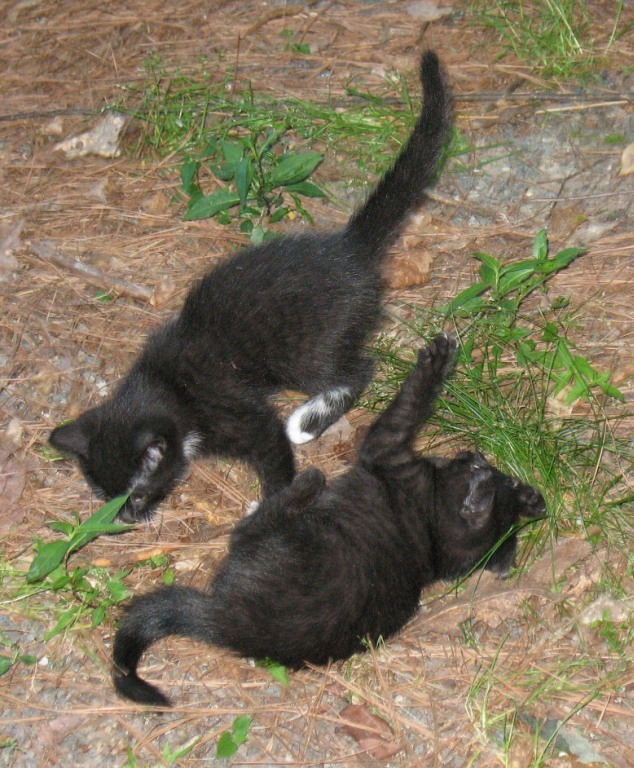 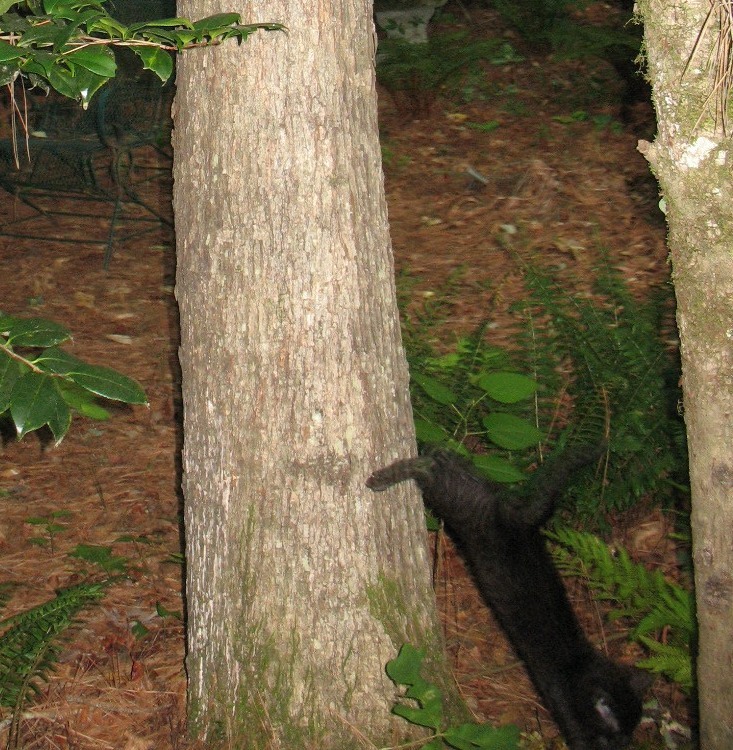 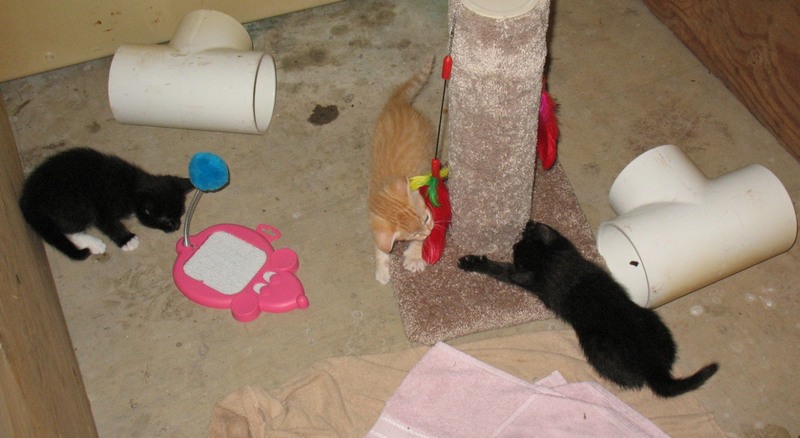 Note that some photos are fuzzy because the kittens are at full speed much of the time! 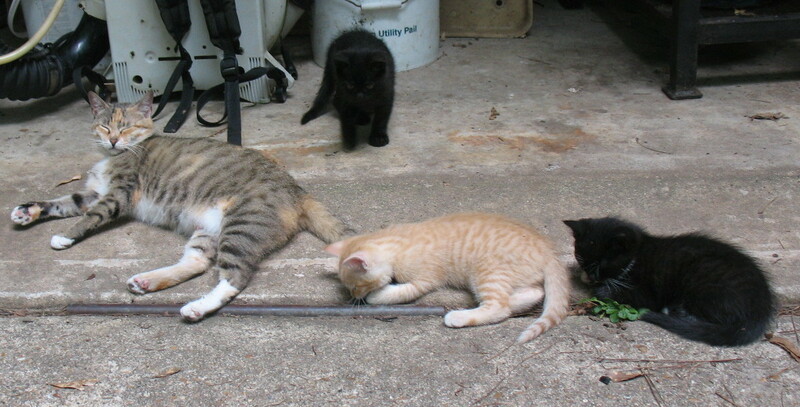 OUR BIG CAT DUSTER DIDN'T WANT TO BE LEFT OUT!! 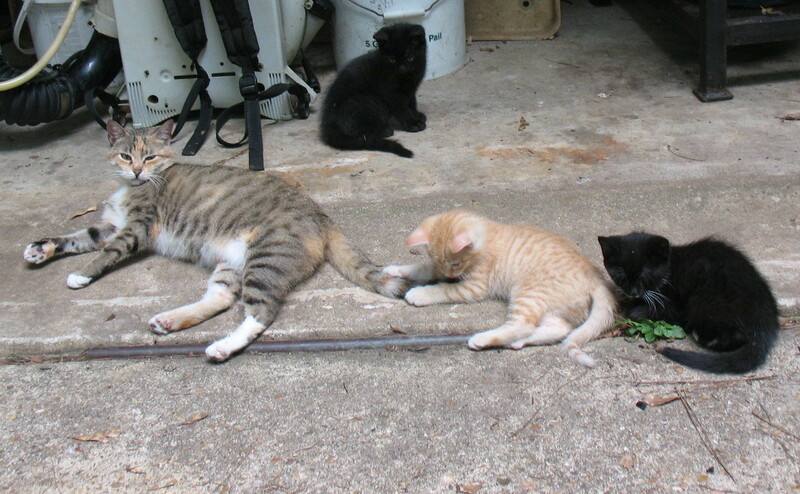 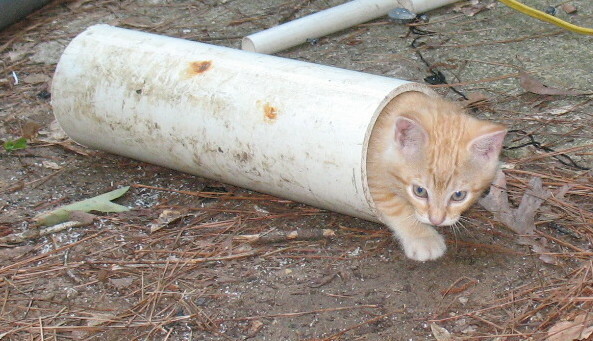 Click the link below to see more kitten adventures. 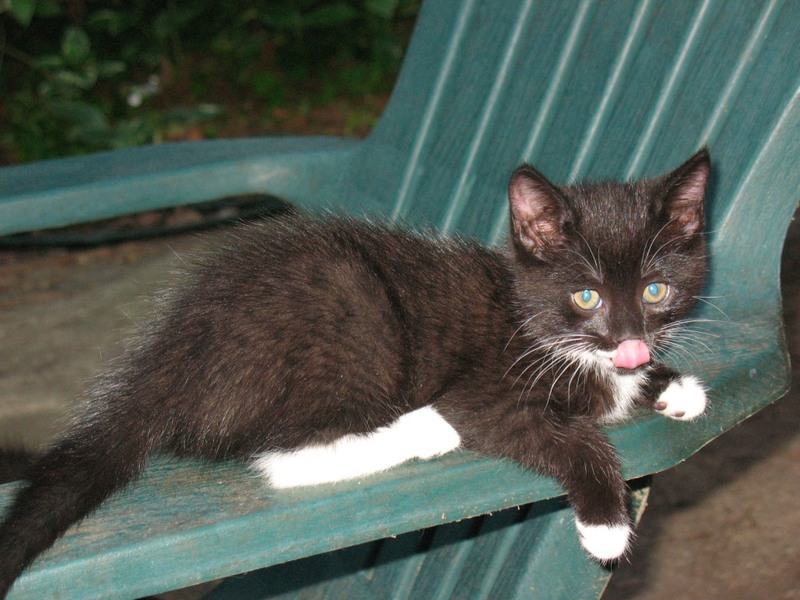 Also Duster the cat wants you to visit his page!